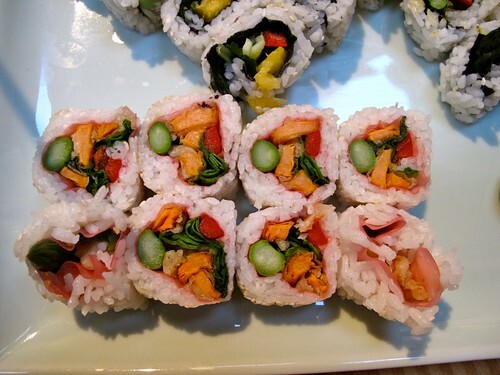 Many vegan sushi options, lots of interesting rolls. Some vegan noodle dishes and tofu for entrees. Servers are knowledgeable and will make things vegan if they can (ask for tempura with no egg, for instance.) The miso soup is not vegan. Fun neighborhood, modern setting, with artwork on the walls and high ceilings. Very affordable veggie sushi and a good place to take omnis as they have a wide variety of interesting (and traditional) rolls. The staff was incredibly friendly. Another great spot! It is such a hole in the wall that your initial visual cues may tell you to depart but go against that instict and stick around 🙂 The food is delicious and there are TONS of options for vegans. The key at this place is that you have to be specific with what you don’t want as “vegan” isn’t a well known term here (e.g. I want tempura asparagus with no egg).